Insurance companies lose billions of dollars every year due to incorrect information supplied by customers. Even if the information does not seem important, it can make a huge difference in the amount of money insurance companies pay out on a regular basis. Most people misrepresent themselves on their insurance policies through neglect rather than calculated deceit. Drivers simply fail to recognize that they need to make adjustments to their policies when they experience lifestyle changes that affect where, when, and how often they drive. It does not matter whether the misrepresentations are intentional or accidental. Everyone will eventually have to pay higher car insurance rates to cover the extra costs that the insurance companies must cover due to misinformation. It can be easy to fudge a number or exaggerate a little when you fill out your insurance policy information. Unfortunately, the amount of money you save by stretching the truth can have a direct impact on your claims, possibly getting them denied. Five of the most common types of policy misinformation are listed below. Insurance companies base some of your premium on the number of potential drivers that live in your home. If you live with a teenager who has his or her driver's license, you must report that teenager on your policy so that you can receive the correct type of coverage. Some parents neglect to report their teenage children because they carry the same policy without any changes for several years and the children simply grow up while the car is covered by the original policy. That is why it is important to look into your insurance options at least once a year to make sure you are covered properly. Even if you are not related to all of the drivers who live with you, it is important that they be all listed as household members through your insurance agency. 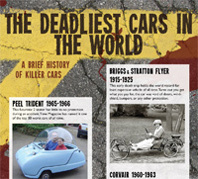 Another common misrepresentation is in the number of average miles that are driven regularly. Many drivers estimate their daily commute incorrectly, which means that the insurance coverage they receive is not accurate to their actual needs. People who tend to leave their insurance policy as it is for several years may change job locations without informing their insurance agents. It is possible that in some cases drivers are actually paying more for their insurance because their daily commutes have changed. Drivers who work in large cities that have limited parking sometimes fib about where they park when they go to work. It is possible that parking in one location can lead to much lower insurance rates than parking in other locations within the same downtown area. If you claim that you park in a covered garage, for example, your car is better protected than if you park in metered spaces on the side of the road. Your insurance company does not expect that you will park in the same spot every single day of the year, but you should give an accurate report of where you park the most often. 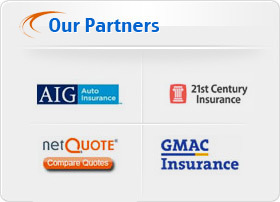 Some group affiliations allow you to receive discounts on your auto insurance. Roadside assistance groups in particular provide an extra layer of safety that is typically rewarded by car insurance companies through lower premiums. Those affiliations generally need to be updated once every year. If you drop your membership in a group that allowed you to receive a car insurance discount, you have to report that to your insurance company so that your policy can be adjusted correctly. Some drivers report their vehicles as strictly used by the family, when in fact the cars are used for commercial purposes as well. Any time you use a vehicle for a purpose that is not stated specifically on your car insurance policy you run the risk of being in an accident that is not covered. Insurance companies lose millions of dollars annually on claims that are filed for situations that were not listed in the driver's original policy. Insurance companies generally discover the misrepresentations when there is an accident involving someone who was not listed on the policy or a situation that is outside the policy's limits. If you live with someone who is not listed on your policy and that person drives your car, there is always a chance that the unlisted driver could be involved in an accident. Many of the biggest car insurance companies have begun to track the information that they are given by their customers to make sure it is valid. If you live in an area that requires vehicle inspections, for example, the insurance company can request your odometer readings between inspections and draw an accurate conclusion about how far you drive in an average year. It will be clear that you are driving further than you reported if the numbers do not add up between inspections. The repercussions of getting caught lying on your insurance policy can be extremely expensive for you and your insurance company. If the lie is caught due to an automobile accident, your insurance company will either have to cover all of the unexpectedly higher costs and pass on the cost in the form of premiums, or the company will deny your claim altogether. Filing an accurate policy with your car insurance company is not just the honest thing to do, it makes better financial sense as well. You may have to pay a little more for your insurance policy when you tell the truth, but you will actually save money in the end by being covered for anything that could happen due to your real life situation.